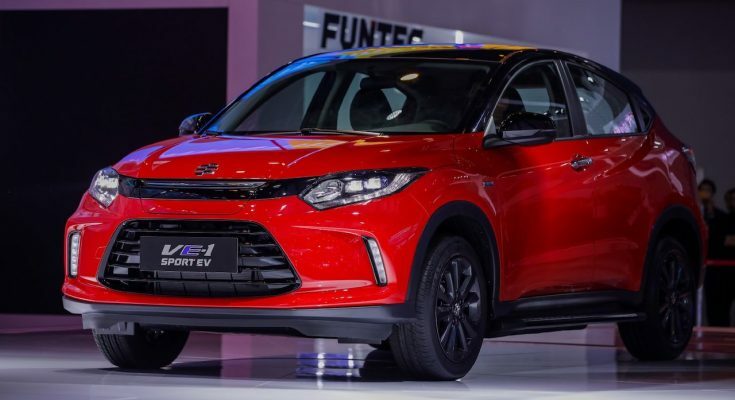 Honda has unveiled the Everus VE-1 all-electric SUV at the 2018 Guangzhou Auto Show. 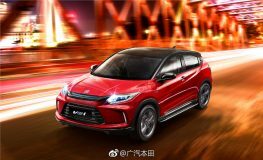 Based on the HR-V/ Vezel, the Everus VE-1 is the production version of the Everus EV Concept that debuted at the 2018 Beijing Auto Show in April, earlier this year. 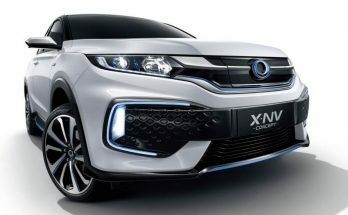 Design wise it certainly looks like a futuristic version of the Honda HR-V, with almost all the same lines through the sides as well as the high-mounted rear door handles. 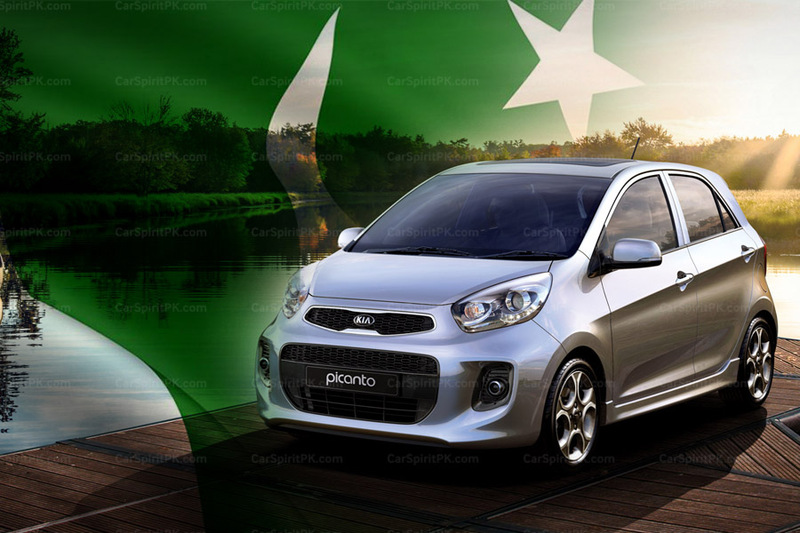 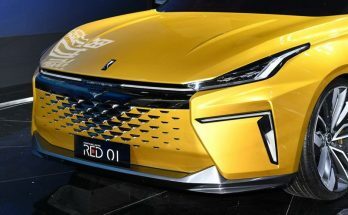 However, the front fascia features 3D-effect headlamps, the Everus badge and the grille has been redesigned to accommodate what should be a charging port. 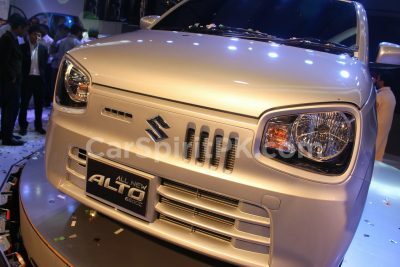 The lower apron now sports a prominent intake, with the “mouth” being flanked by slim LED strips in the corners of the bumper. 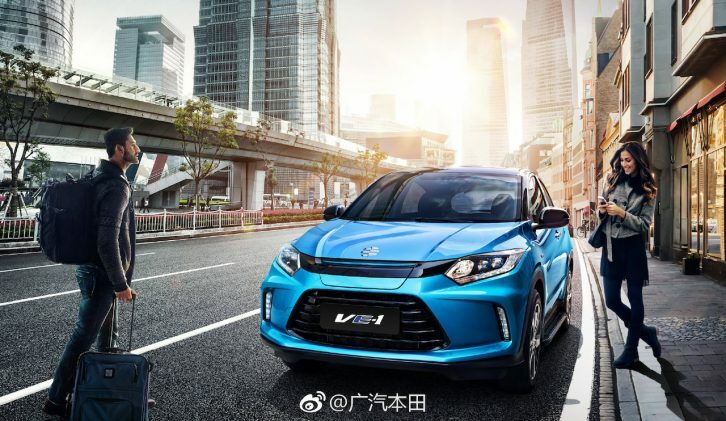 The VE-1 EV is made by GAC-Honda in China and measures 4,308 mm long, 1,824 mm wide and 1,625 mm tall, having a wheelbase of 2,610 mm. 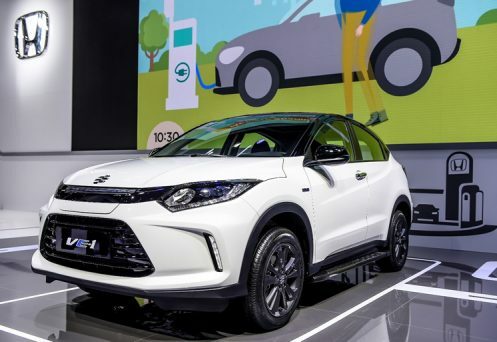 The all-electric SUV rides on 17-inch wheels wearing 215/55 R17 tires. 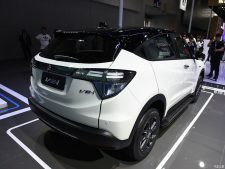 The Honda Everus VE-1 is powered by an electric motor that generates a maximum power of 120 kW (161 hp) at 400-11,500 rpm and a maximum torque of 280 Nm from 0-400 rpm. 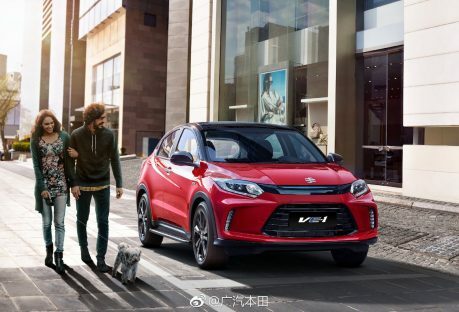 The electric motor is accompanied by a 53.6 kWh Lithium-ion battery pack that provides a driving range of 340 km (NEDC cycle). 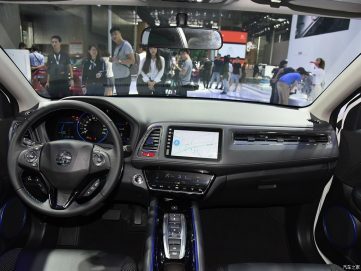 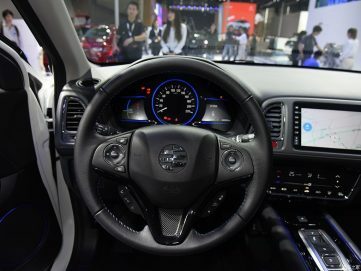 The driver can select between three drive modes: N (normal/comfort), S (sport) and B (battery saver/economy). 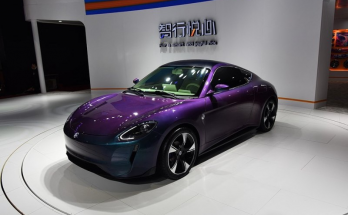 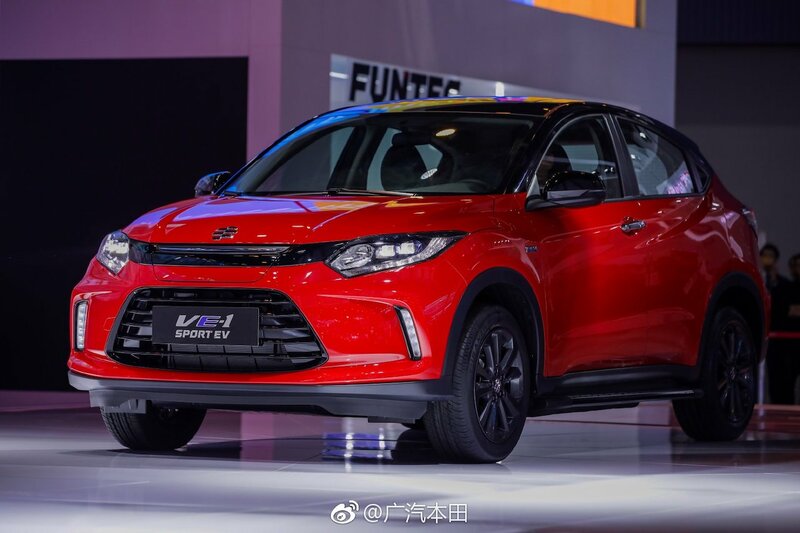 The Everus VE-1 EV which is a China-only model, will enter production in December 2018. 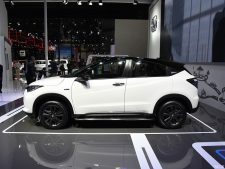 For global markets, Honda will launch the production version of the Urban EV hatchback concept, somewhere in 2019.